Anyone Can Join! Become a member today! Discover why buying used can be worth every penny. 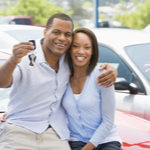 Buying a new car can feel like a great idea, but consider the pros of buying used. Here are the basics you need to know. Here is a quick guide to help keep your car in top shape.